In this economic filled environment it is very difficult for every business or organizations to keep up the value among their potential customers. It is the responsibility of the company to focus on their core business parts and also to control and manage their flow of operations starting from the top till the bottom lines to reach success. 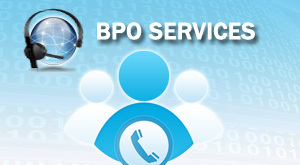 So to attain victory in your business or organizations, choose to outsource your business process. Business Process Outsourcing (BPO) is one of the valuable strategies that provide your business with flexible, valuable and cost effective solutions for your business operations. Isplchennai is one of the leading Business Process Outsourcing Company in Chennai that offers its business value to number of clients across the globe. A business or organizations can reach their goal by outsourcing their business process irrespective of its size. It is one of the valuable scenarios that benefits your company by supporting your cooperation, reduces the cost and also the risk involved. We attain success because of our quality work culture and providing excellent service to our valuable customers in which we become one of the trusted business partners with our clients. Our skilled professionals at Isplchennai update themselves with the current trend, technologies and skill that requires satisfying the client needs in this changing environment. In addition to this we also provide solutions to improve your competitive positioning and will deliver an excellent service to your potential customer. Our innovation and our excellent services will lead to the growth of your business. If you are the one who is looking forward for a reliable, professional partner who delivers the best outsourcing services, then don't think anymore, Contact us today to attain your goal and gain profit in your business at an affordable operating cost.